"I'm going to talk more about what it takes to become a multi-planet species. Just a brief refresher on why this is important: I think fundamentally the future is vastly more exciting and interesting if we're a spacefaring civilization and a multi-planet species than if we're not. You want to be inspired by things. You want to wake up in the morning and think the future's going to be great, and that's what being a spacefaring civilization is all about. It's about believing in the future and thinking that the future will be better than the past, and I can't think of anything more exciting that going out there and being among the stars." – Elon Musk, SpaceX CEO and Lead Designer, at the International Astronautical Congress in Adelaide, Australia on Friday, September 29, 2017. Former U.S. Attorney Preet Bharara's podcast about justice and fairness is my favorite new podcast this year. His byline describes him as "the former U.S. Attorney who fought corruption, financial fraud and violent crime." I don't know much about that world, and I had imagined U.S. Attorneys as brusque, tough, no nonsense, humorless people, so I was surprised to find Preet to be so thoughtful, considerate, humorous, and even humble. These traits come through in each episode, but perhaps were most clearly exhibited in the live show he did before an audience including his parents⩘ . Preet and his interesting guests provide in-depth insights into the way the justice system works, something that has always been a black box to me, as well as keen commentary on the running news about the investigations probing the possible Russian interference in our democratic process, something I think should deeply concern all of us. Whenever a few different podcast episodes queue up in Pocket Casts⩘ , the fantastic podcast app I use, this is the one I prioritize listening to. Stephanie Mencimer writes for Mother Jones. On paper, Robin Stublen and I should never have been friends. He was a Donald Trump-supporting self-identified redneck who hated Hillary Clinton and Barack Obama, thought liberals were ruining the country, was deeply offended by NFL players taking a knee during the national anthem, and supported oil drilling off the coast of Florida, where he lived. I am a bleeding-heart liberal who fears what Donald Trump is doing to the country, thinks it's about time that political protests hit the NFL sidelines, and abhors oil drilling off the coast of Florida, even though I don't live there and never will. I think that social media is a really powerful tool for people of common interests to convene and get to know each other, but then it's important for them to get off line, meet in a pub, meet at a place of worship, meet in a neighborhood. On the Internet everything is simplified. And when you meet people face to face it turns out that they are complicated. There may be someone who you think is diametrically opposed to you because of their political views, but you root for the same sports team. Or you notice that they're really good parents. I've noticed this myself. In my political views, I'm definitely closer to Stephanie Mencimer than Robin Stublen. Donald Trump puzzles me in every way, and his behavior and actions in office often horrify me. After the way he has conducted his first year in office, I simply don't understand how it is that there are so many people who still support him, some very strongly. When I arrive at the Meals on Wheels center each week to volunteer as a delivery person, I often see another volunteer arrive who has a big, red, Make America Great Again cap sitting high up on the dashboard of his pickup truck, facing outward. I often find myself wondering how he can even still display that cap after everything that has happened this year. But once I'm inside, I notice that he is the volunteer who is most kind to a person there who is developmentally challenged and likes to hang around as the volunteers arrive to pick up their packs of meals. That person absolutely lights up with joy when he sees Mr. MAGA arrive. There are a lot of good people in the world. Some wear red caps, some wear blue caps, some wear caps every color of the rainbow. Whatever caps we wear, all of us have hearts, but often they can be glimpsed only if we're able to look beyond the stenciling on the caps. Thanks, Stephanie, for giving us a glimpse of Robin's heart. Stephanie Mencimer. "A Tribute to My Improbable Tea Party Friend⩘ ." Mother Jones, Dec 2017. Something is fundamentally wrong with the state of online security, and I've grown increasingly alarmed over the past few years as the situation has deteriorated. I think this is a critical issue that adversely impacts the strength and security of our country and all of us who are citizens. I've also been surprised and dismayed by how little attention has been paid to this issue by companies and our government. So I was very happy to hear that Troy Hunt, the guy behind ';--have i been pwned?⩘ , is posting an excellent five-part series: Fixing Data Breaches⩘ . Thank you for this excellent information and insight, Troy! We have a data breach problem. They're constant news headlines, they're impacting all of us and frankly, things aren't getting any better. Quite the opposite, in fact – things are going downhill in a hurry. Before I left DC, I promised the folks there that I'd come back with recommendations on how we can address the root causes of data breaches. I'm going to do that in a five-part, public blog series over the course of this week. This isn't to try and fit things into a nicely boxed calendar week of drip-fed content, but rather that there are genuinely 5 logical areas I want to focus on and they're each discrete solutions I want to be able to link to specifically for years to come. This whole post is about giving control of data back to the rightful owners and minimising the impact on them when a breach occurs. This is equal parts a fundamentally simple objective to achieve and one that is enormously difficult. Organisations view data on their customers as an asset, yet fail to recognise that it may also become a liability. What I'm talking about here is ensuring that when someone wants to report something of a security nature—and that could be anything from a minor vulnerability through to a major data breach—that channels exist to easily communicate the issue with the organisation involved. That may sound both obvious and simple, but it's frequently a tedious, time consuming process which results in many serious incidents going unreported. Many well-intentioned people simply give up and don't report serious security incidents when the effort is too high or the risk is too great. That has to change. A bug bounty is a program offered by an organisation which incentivises people to identify and report bugs in their system. Bug hunters who discover security flaws are rewarded with anything from a mention on the company's website … to a t-shirt … to serious amounts of cash. The program is often scoped to certain assets owned by the company and rewards are tailored based on the value of the finding…. When you think about bug bounties in pure economic terms, they make perfect sense. They disrupt the traditional inclination to withhold information and flip that on its head such that people are incentivised to disclose it instead. It was inevitable that we'd eventually end up talking about penalties though because the fact remains that although all the aforementioned recommendations make perfect sense, we're still faced with data breaches day in and day out from companies just not getting the message. Are companies not watching the news? Is the CEO not saying "hey, I hear hacking is a thing, how well prepared are we?" How is it that people aren't being more proactive? We're bombarded with hacking stories all over the news every week, nobody can claim ignorance. When it comes to cyber-security vulnerabilities, the U.S. has "unlimited risk, limited resources, and a thinking enemy." – Frank Cilluffo, Director of George Washington University's Center for Cyber and Homeland Security, Axios⩘ , Dec 23, 2017. An inspiring and humbling project. A forest in Norway is growing. In 100 years it will become an anthology of books. Every year a writer is contributing a text that will be held in trust, unpublished, until 2114. The texts will be printed on paper made from the trees, only to be read after 2114. Many of the most inspiring things I stumble across on the internet these days come via Kottke.org⩘ . I can't believe I discovered it only recently, as Jason Kottke started writing his blog in 1998. In a very short time, it has become a sort of sanctuary for me. When I read the morning news, sometimes the only way I can get through it is by dangling ahead of me the promise of finishing up with a visit to Kottke.org. Thank you, Jason! Founded in 1998, kottke.org⩘ is one of the oldest blogs on the web. It's written and produced by Jason Kottke and covers the essential people, inventions, performances, and ideas that increase the collective adjacent possible of humanity. Frequent topics of interest among the 26,000+ posts include art, technology, science, visual culture, design, music, cities, food, architecture, sports, endless nonsense, and carefully curated current events, all of it lightly contextualized. Basically, it's the world's complete knowledge, relentlessly filtered through my particular worldview, with all the advantages and disadvantages that entails. There has to be room in our culture for that type of stuff—that stuff that is inspirational and aspirational—because it provides some sort of hope that we can actually have more of that in our lives, rather than less. Excellent article by Rodney Brooks, former director of the Computer Science and Artificial Intelligence Laboratory at MIT and a founder of Rethink Robotics and iRobot, discussing factors that impact and distort our perspective of the likely pace of AI innovation and adoption. Roy Amara was a cofounder of the Institute for the Future, in Palo Alto, the intellectual heart of Silicon Valley. He is best known for his adage now referred to as Amara's Law: ""We tend to overestimate the effect of a technology in the short run and underestimate the effect in the long run." Watch out for arguments about future technology that is magical. Such an argument can never be refuted. It is a faith-based argument, not a scientific argument. Deploying new hardware, on the other hand, has significant marginal costs. We know that from our own lives. Many of the cars we are buying today, which are not self-driving, and mostly are not ­software-enabled, will probably still be on the road in the year 2040. This puts an inherent limit on how soon all our cars will be self-driving. It: Please state your date of birth, for example, if your date of birth is April 1, 1960, say, "April 1st, 1960." It: I'm sorry, I was unable to understand that, please state your date of birth, for example, if your date of birth is April 1, 1960, say, "April 1st, 1960." Me (slower and louder): April 1st, 1960. Me: I hate these @#&*^# automated systems! If these automated systems are any indication of the current state of the integration of AI into our systems, then the main thing we have to fear is our world being run by moronic automatons … and since that seems to be pretty much the state of affairs these days, I guess we'll be no worse off … which is pretty bad off … okay, I guess we're screwed no matter what happens. Rodney Brooks. "The Seven Deadly Sins of AI Predication⩘ ." MIT Technology Review, Oct 2017. Two videos touched me in very different but equally inspiring ways this morning. Ladies and gentlemen, you may have heard that some people down in the prep school wrote some racial slurs on some message boards. If you haven't heard that, I wanted you to hear it from me. If you're outraged by those words then you're in the right place. You should be outraged not only as an airman, but as a human being. That kind of behavior has no place at the prep school, has no place at USAFA, and it has no place in the United States Air Force. You should be outraged not only as an airman, but as a human being. So just in case you're unclear on where I stand on this topic, I'm going to leave you with my most important thought today: If you can't treat someone with dignity and respect, then you need to get out. If you can't treat someone from another gender, whether that's a man or a woman, with dignity and respect, then you need to get out. If you demean someone in any way, you need to get out. If you can't treat someone from another race, or different color skin, with dignity and respect, then you need to get out. It's 2017, we should have a lunar base by now. What the hell has been going on? I think we've got to have a base on the moon. That'd be pretty cool. And then going beyond there and getting people to Mars, that's the continuance of the dream of Apollo that I think people are really looking for. Musk discusses the technical aspects of what they have code named the BFR, which is a big, multi-use, entirely reusable rocket. It will be capable of restocking the space station, launching very large or large numbers of satellites into Earth orbit, recovering end-of-life satellites, performing lunar and Mars missions as well as other missions throughout the solar system, and perhaps even point-to-point travel on Earth (most places within 30 minutes; anywhere within an hour). Fascinating talk. Elon Musk may be the most inspirational visionary on Earth today … and he gets stuff done! Bonus: How to Care for Your Introvert⩘ video by exurb1a: "If you're looking to get an introvert, you can either adopt a baby one, known as a shylet, or rescue an adult from an introvert shelter, generally known as a library.… A pair of introverts is called an 'awkward.' A group of introverts is called an 'angst.'" Put your headphones on, use your right and left arrow keys, and enjoy a few minutes of tranquility courtesy of Australian artist Alexander Perrin's beautifully illustrated short animation of a trolley ride. 78-year-old Song Peilun left his job teaching sculpture 20 years ago in order to build an amazing rock sculpture "castle" that now spans 50 acres of a secluded valley outside Guiyang, China. Peilun is concerned about increasing urbanisation in the area, but believes his castle will survive and carry a message to future generations. "Our biggest achievement is not just piling up stones. it is the building of a certain spirit, to not seek quick success and instant benefits." I love it that life can still surprise and delight me like this! Video story by Christopher Cherry: "The man who built a Chinese utopia⩘ ." BBC Travel, Sep 15, 2017. 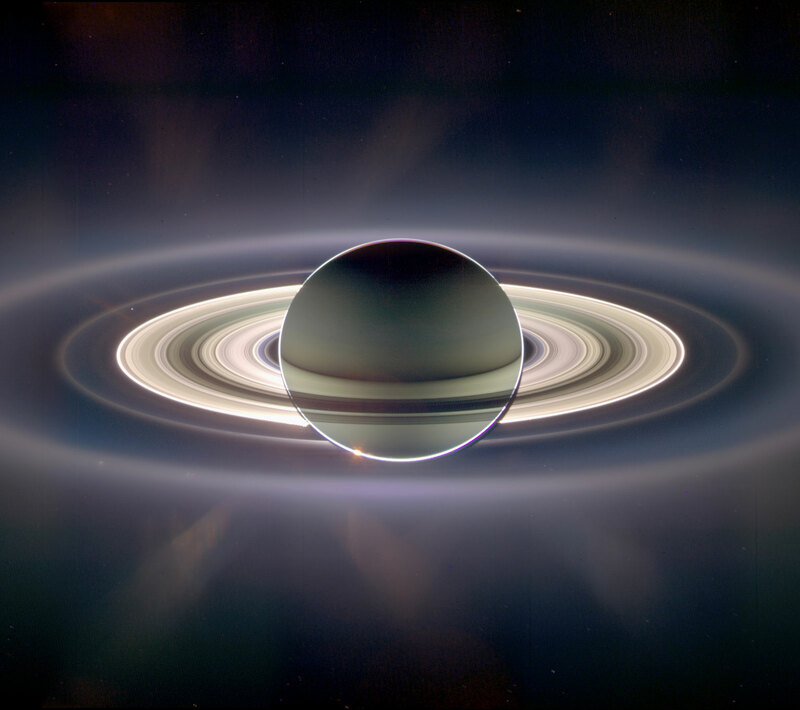 Photo of Saturn taken by Cassini. In troubled times like this moment—huge storms and floods battering the planet worldwide, political unrest churning, wars and violence devastating countless innocent civilians in so many places, insane leaders threatening nuclear conflict, forest fires raging (for weeks this summer we've been covered by a nearly unbreathable haze from the many fires burning across western North America), fascism resurging, online security crumbling under relentless attacks—sometimes I just need a moment to quietly breathe and gain some perspective. I'm reminded of what I experienced when a job I had for several years often took me to the company's Bay Area headquarters for a week at a time. Those were always intense trips with layer upon layer of stressful, sleep-deprived, coffee-fueled stimulation: crammed flights, huge numbers of people packed into a polluted urban corridor, jammed freeways, soulless hotels, constant noise, whirlwind work assignments, weird office politics. Dragging myself onto my flight home at the end of the week, I always tried to get a window seat. The plane would take off, everything that had been so overwhelming would shrink into insignificance far below, and soon we'd be flying over a vast, open, sparsely populated western landscape. In those moments, my mind grew quieter, my breathing slowed and deepened, I could feel my heart again, and a sense of gratefulness washed over me. Looking at a photo like this offers me a similar respite. 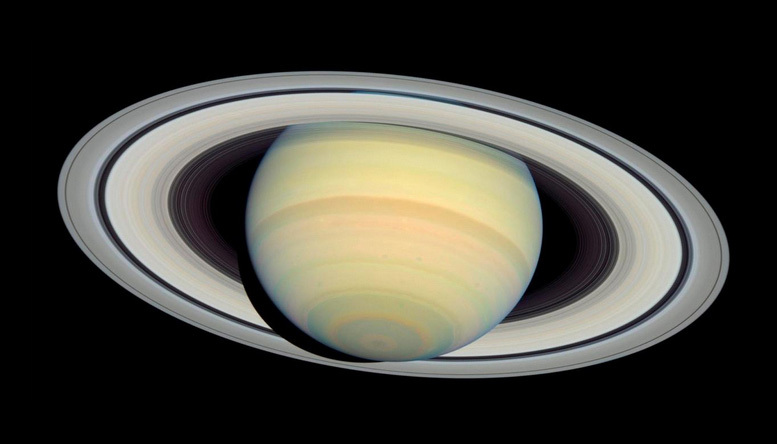 In some of the photos of Saturn, our planet can be glimpsed as a barely visible spec of light⩘ (in the following photo, between the rings on the upper left side), offering the opportunity to put our chaotic frenzy into perspective against the immense backdrop of our solar system, galaxy, universe, and the vast stillness that permeates it all. Excellent article about the wildfires: "Season of Smoke⩘ " by Naomi Klein, The Intercept_, Sep 9, 2017. An excellent article by Conor Friedersdorf about how to use reasoned thinking about means and ends to make a nuanced evaluation of the various protest groups who are at the forefront of our current environment. One way forward is to distinguish between a group's ends and its means. Diligently doing so can help anyone to formulate a defensible position, to better understand those who disagree, and to emphasize common ground that too often goes unrecognized. Conor Friedersdorf. "How to Distinguish Between Antifa, White Supremacists, and Black Lives Matter⩘ ." The Atlantic, Aug 31, 2017. Well this explains a lot! In the clever comic, You're not going to believe what I'm about to tell you⩘ , The Oatmeal explains the Backfire Effect, a psychological behavior we all share that makes us ignore evidence that is contrary to our core beliefs. This is hard wired into the amygdala in our brains, leading us to react to information that threatens our core beliefs in much the same way we'd react to being attacked by a predator. 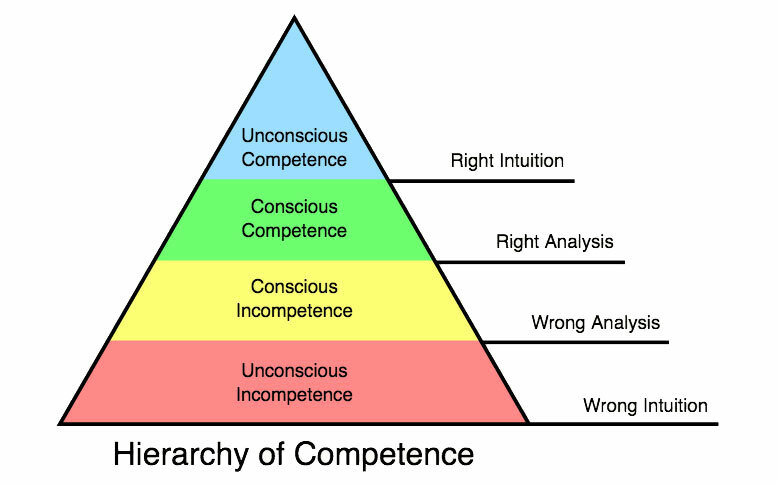 This has helped me to understand a lot what has been puzzling me about our public discourse today, and also challenges me to take a more careful look at my presumptions related to my own strongly held and cherished core beliefs. I also read a related article in Axios⩘ today summarizing the findings of a recent study that found that knowing more doesn't change disbeliefs about science. If someone is already pre-disposed to disbelieve scientific conclusions around issues like human evolution, climate change, stem cell research or the Big Bang theory because of their religious or political views, learning more about the subject actually increases their disbelief…. A bit depressing, actually. And yet. And yet I know from my own experiences and observations that we can learn, and even our core beliefs can evolve. Perhaps the key takeaway is simply to be more aware of strength of conviction we have in our core beliefs and its psychological basis, without conceding the optimistic outlook that it is at least possible for all of us to increase our knowledge and move forward. The Oatmeal comic: You're not going to believe what I'm about to tell you⩘ . Article: Jeff Nesbit, "Study: knowing more doesn't change disbeliefs about science⩘ ." Axios, Aug 22, 2017. 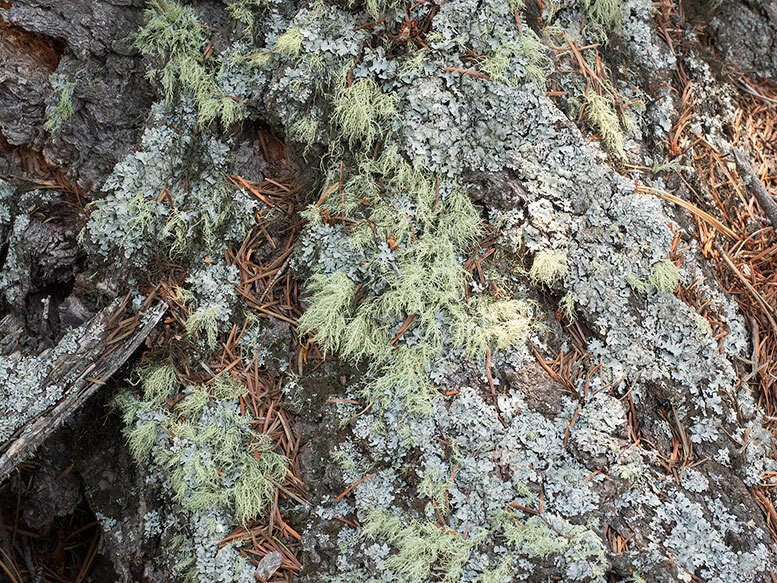 Lichen are fascinating in their own quiet way. Although they grow and develop very slowly, they can live hundreds or even thousands of years and have evolved over hundreds of millions of years to make up eight percent of the world's biomass. They are found worldwide and can take an astonishing variety of forms from unassuming blotches of gray growing on rocks and trees to dramatically branching specimens that look like the land cousins of coral. At the same time, they are very sensitive to environmental changes like air pollution or increasing temperatures, and take decades to recover from a calamity like wildfire. Kerry Knudsen is a world renown lichenologist, the lichen curator at the U.C. Riverside Herbarium in California, and a mycological researcher at the Prague University of Life Sciences. There's a fascinating article about him in The Atlantic: "The Ex-Anarchist Construction Worker Who Became a World-Renowned Scientist⩘ , as well as an interesting short documentary film about him on Vimeo: The Lichenologist⩘ . Here's a collection of beautiful photos of lichen taken by Jana Kocourková and Tim Wheeler: "Lichen species found in Joshua Tree National Park⩘ ." Discovering something new: wine-barrel-aged coffee! I've been enjoying coffee since I was 17 when I first tried and fell in love with it while I was an exchange student in the birthplace of coffee, Ethiopia. At a later point in my life, I spent a year trying coffees from all over the world. Every week, I'd buy a couple different 1/4 pound bags of freshly roasted coffee from different countries and farms. It was an amazing experience, one that left me able to say without hesitation that my favorite coffee is Sidamo from the Oromia region of Ethiopia, roasted in the light-to-medium range. Perhaps this is a reflection of my earliest coffee experience, but there's no question that the first sip of a fresh cup of Sidamo gives me an "Ahhh!" moment. Over the years, I've tried a wide variety of brewing techniques. In the end, I settled on French Press with freshly ground coffee as my favorite. After the water boils, I let it cool a few moments before pouring it over the freshly ground coffee, then let it sit for a half a minute or so before stirring it and slowly pressing the plunger into place¹. I use a 100% stainless steel French Press so that no other flavors are imparted to the coffee, and I savor it pure black. 1] We live at 5700 feet, which affects boiling temperatures, etc. Even though I use the same method every morning, I've noticed it can taste slightly different day to day. I've come to the conclusion that the flavor may be affected by environmental factors like the humidity or barometric pressure. My favorite coffee roaster is Solar Roast Coffee⩘ in Pueblo, Colorado. They use solar energy to power their roasting. Originally, that meant an array of 80 solar mirrors focused on a roaster that could process only a pound at a time. Over the course of eight years, they tweaked the design of their roaster, and by the fourth iteration, they had increased the number of mirrors to 880 and got to the point where they could roast 30 pounds at a time. They had to roast at a lower temperature than is typical of today's modern coffee roasters, so they ended up with a method of using gentle heat and slow roasting, as they say, "like a good BBQ." Their next step, the current one, was to switch to using photo voltaic panels on the roof of their shop to power a more conventional electrical roaster, while still retaining the gentle heat approach. I think they may have hit on something because I find their coffee consistently delicious. As usual, my favorite is their Ethiopian Sidamo, but I've tried a few of their other coffees as well and found them all to be excellent. Recently, at the prompting of a friend, the Solar Roast folks tried something new and a bit crazy: aging some of their green beans, first in whiskey barrels supplied by their friend, and then in wine barrels from The Winery at Holy Cross Abbey near Pueblo. To their surprise and delight, the barrel-aged (14 weeks) coffees turned out to have amazing flavors. 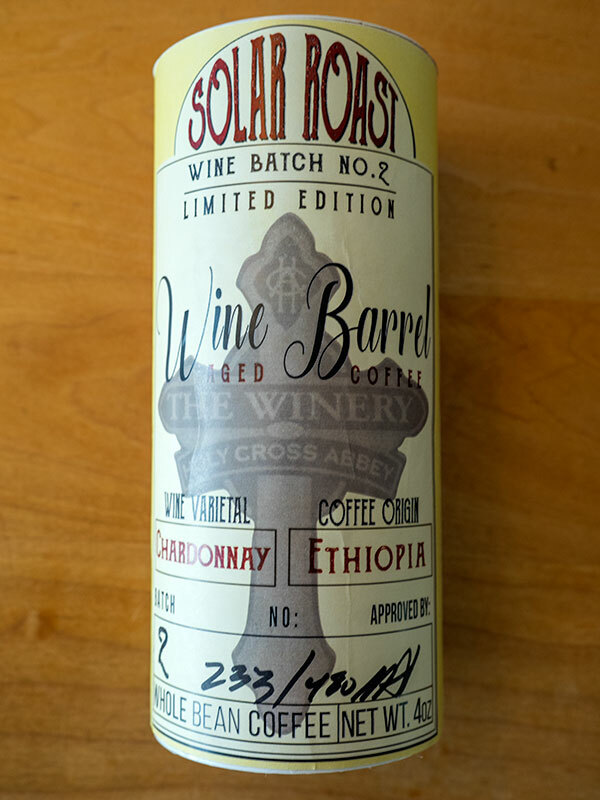 For their second batch of wine-barrel-aged coffee, they aged Ethiopian green beans in a Chardonnay barrel. Of course, that caught my attention and I decided to give it a try just for fun. It's amazing, a really smooth cup of coffee with wonderful hints of wine. In fact, it's so exceptional that I had to share it with a few good friends, then figured I should share it here, too. Are our clothes polluting the ocean? According to the BBC, Imogen Napper, a PhD student at Plymouth University, and Professor Richard Thompson "study marine microplastics—fragments and fibres found in the ocean surface, the deep sea and the marine food chain." They have found that polyester and acrylic clothing shed hundreds of thousands of fibers each time they are washed, and a good deal of those fibers end up in our oceans. In addition, the chemical coatings that enable outdoor clothing to be water resistant but breathable is also washing down the drain, and those chemicals can build up in the bodies of marine animals until they reach potentially harmful levels. The solution is going to require a rethinking of how we create fibers for our clothing so that they are longer lasting and don't shed as much harmful plastics and chemicals. There are some interesting possibilities, like fibers made from trees and even fermented food waste that are more biodegradable, reduce the use of plastics and chemicals, and are longer lasting. That's another challenge: how much of our clothing we dispose of after relatively short periods of use. We are unsustainably addicted to consumption. I cannot emphasise enough how much of a step-change it would be for sustainability if we bought fewer items of clothing per year, wore them for longer and threw them away less often. This is something I've been growing slowly more conscious of over the years. I find it increasingly more acceptable to continue using things that are visibly worn but still fundamentally functionally sound, especially when I weigh updating against the cost of something new being manufactured and the old item being disposed of. For example, our wool carpeting is looking a bit worn, but it still insulates nicely and is comfortable to walk on, so it stays. Another time when I thought about this recently was when I refurbished our deck stairway. Replacing the treads would mean the harvesting of new wood and the disposal of the old wood. In this case, the stairway really did need refurbishing; fortunately, I found a great use for the old treads: instead of replacing the stringers, I reinforced the old ones with the old treads. I ended up with an even more solid stairway than if I had used just new stringers, it should last for many years, and there was very little waste. A satisfying outcome! Victoria Gill, Science reporter. "Dirty laundry: Are your clothes polluting the ocean?⩘ " BBC News, July 6, 2017. Related article: Sarah Zhang. "Half of All Plastic That Has Ever Existed Was Made in the Past 13 Years⩘ ." The Atlantic, Jul 19, 2017. 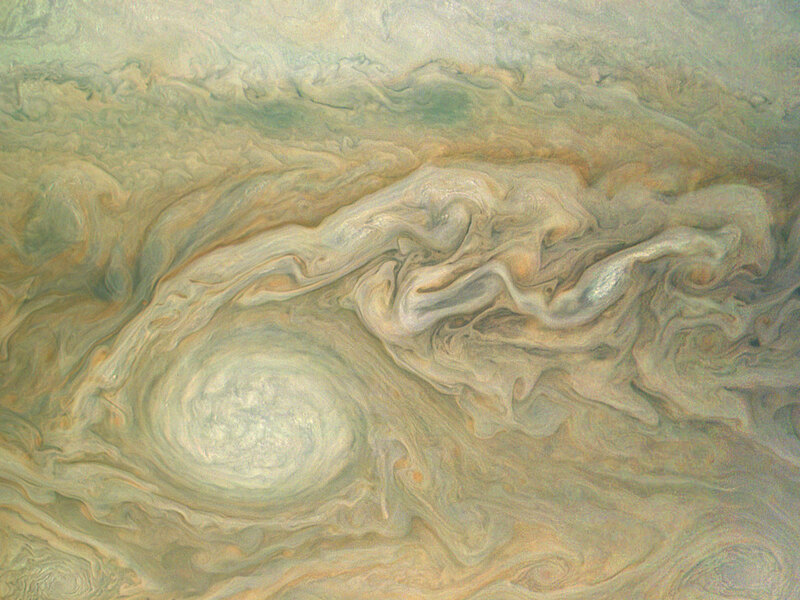 This enhanced color view of Jupiter's cloud tops was processed by citizen scientist Bjorn Jonsson using data from the JunoCam instrument on NASA's Juno spacecraft. 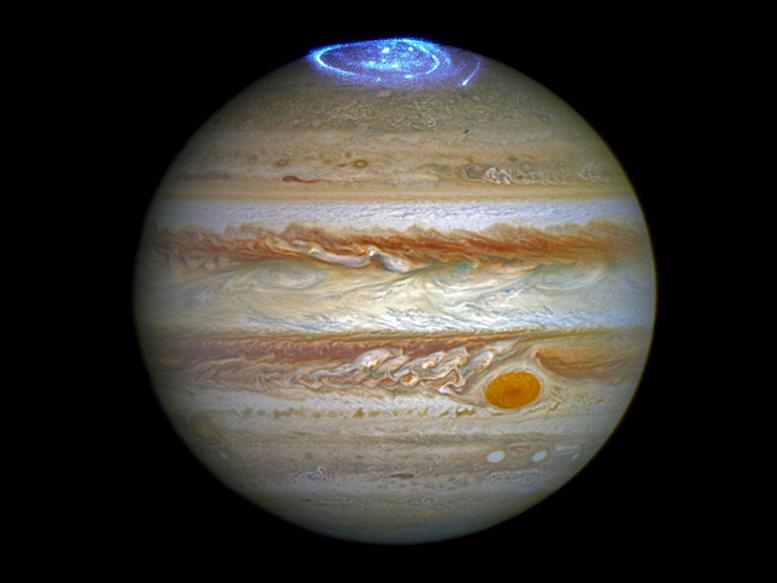 The image highlights a massive counterclockwise rotating storm that appears as a white oval in the gas giant's southern hemisphere. Juno acquired this image on Feb. 2, 2017 … as the spacecraft performed a close flyby of Jupiter. When the image was taken, the spacecraft was about 9,000 miles … from the planet. Credits: NASA/JPL-Caltech/SwRI/MSSS/Betsy Asher Hall/Gervasio Robles. This image shows Jupiter's south pole, as seen by NASA's Juno spacecraft from an altitude of 32,000 miles…. 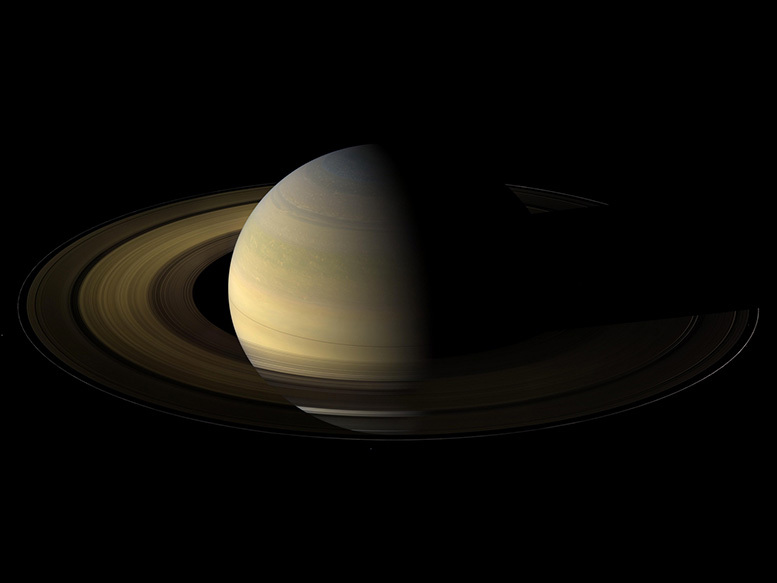 The oval features are cyclones, up to 600 miles … in diameter. 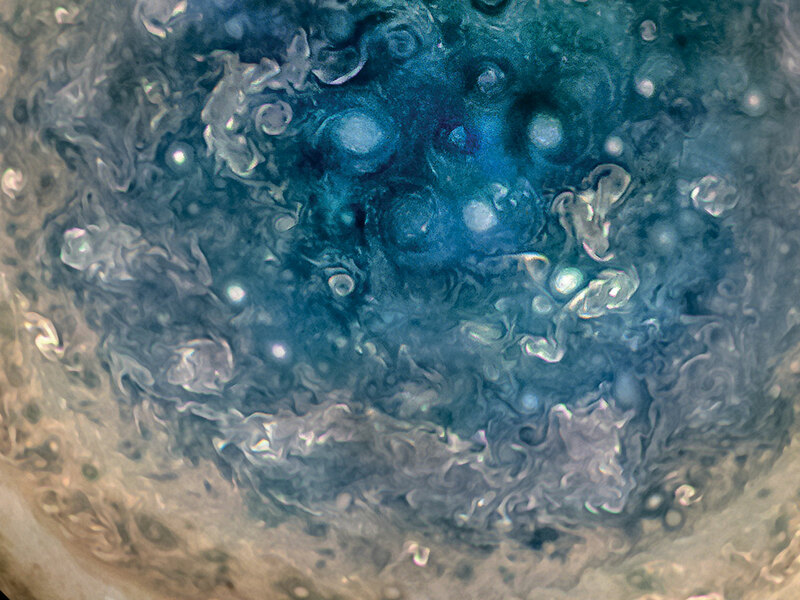 Multiple images taken with the JunoCam instrument on three separate orbits were combined to show all areas in daylight, enhanced color, and stereographic projection. Scientists at Cardiff University, working with engineers from Siemens, used a special MRI scanner to produce this stunningly detailed 3D scan of the fibers in the brain's white matter, called axons, that carry the brain's electrical signals. In this image, they colorized the axons to show the direction of travel of the signals: green back to front, red left and right, and blue up and down. Fergus Walsh, medical correspondent. "What the brain's wiring looks like⩘ ." BBC News, July 3, 2017. The ability to remember often seems to be a good thing. However, according to University of Toronto professor Blake Richards⩘ (my emphasis): "at the end of the day, our brains only do things if it was good for our survival from an evolutionary perspective." Joel Sartore is a National Geographic photographer and a speaker whose current project is the Photo Ark⩘ , a 25-year effort to photograph all of the approximately 12,000 animal species that are in human care. "My goal is simple: to get the public to care and save species from extinction." As of mid-2017, he is about halfway through his quest, at about 6,500 species photographed. The photos are stunning and mesmerizing (be prepared to get lost in time). Joel himself is passionate, humorous, and courageous. As he says on his site, for his work he has traveled half a million miles, been chased by grizzlies four times, found two spitting cobras in his camera gear, made a narrow escape from killer bees, been stung twice in his ear canals by wasps, and melted the soles of a pair of his boots on a lave field. Respect! "It is folly to think that we can destroy one species and ecosystem after another and not affect humanity. When we save species, we're actually saving ourselves." … let us strive on to finish the work we are in, to bind up the nation's wounds … to do all which may achieve and cherish a just and lasting peace among ourselves and with all nations. Here is Mayor Landrieu's full speech. It's worth taking the time to read. Peter Berg's film provides an intense look at how the Boston police department, their commissioner, the FBI, the governor of Massachusetts, the Watertown police department, and most importantly, the people of Boston themselves dealt with the heinous terrorist bombing that struck the 2013 Boston Marathon. What I found most compelling were the glimpses at the end of the film into the lives of some of the people who were portrayed in the film, as well as some of the interviews with them in the film's extras, including Dun Meng, the young Chinese immigrant living in Boston who was carjacked by the terrorists, but escaped and alerted police to their location; Sergeant Jeffrey Pugliese, who after going off duty at the end of his shift, joined in the gunfight with the terrorists and tackled and fought with one of them; and newlyweds Patrick Downes and Jessica Kensky, who each lost legs in the bombing, but not their spirit. Patrick went on to run the Boston Marathon again three years later on a prosthetic blade. 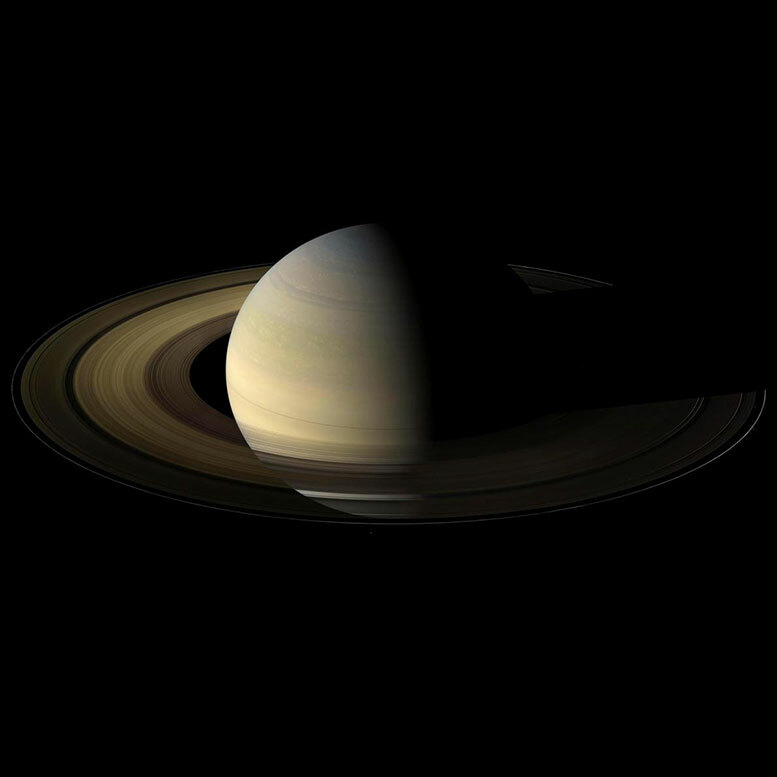 NASA's Jet Propulsion Laboratory worked with filmmaker Erik Wernquist to create this stunningly beautiful animated film based on actual images of Saturn taken by the Cassini spacecraft. The film captures key moments in the mission, from the launch on October 15, 1997 through the end of mission nearly 20 years later. View these images in larger size, including additional still shots from the film: Key moments in Cassini's mission⩘ . "Museum's 80 solar panels on the roof are expected to save approximately $8,000 per year." My guess is that, unfortunately, someone will lose their job due to the politics surrounding this otherwise wise decision. Article: Megan Geuss. "To save money, Kentucky Coal Museum turns to solar panels⩘ ." Ars Technica, Apr 10, 2017. Photo: Kentucky Coal Museum by Jimmy Emerson, DVM⩘ . This is a very new non-profit with an interesting idea: to support immigrant rights through illustrated stories from around the world that give us insight into the lives of taxi drivers, many of whom are immigrants. So far there are just over a dozen stories, and a few of them provide interesting glimpses. It reminds me a bit of Jim Jarmusch's film, Night on Earth, during which we ride along with five fares in different cities in the U.S. and Europe during one night, gaining a brief yet intense burst of experience from each ride. Interesting that the recurring theme I've seen in many of my rides with immigrant drivers was the affirmation that their children would do better than them, and the faith they have in their belief. It is a powerful belief, gives rise to formidable work ethics, and it is admirable. A nice touch is that, at the end of each story, there is an illustration of the driver, along with a hand-drawn map of the route. Although the stories so far are a bit uneven—I found it puzzling why some are even included in their curated collection—I applaud the idea behind their effort. I think the first step we can take to get beyond xenophobia—and for that matter, the political polarization that currently afflicts us—is to get to know each other a bit better. I hope this promising effort finds its stride and helps us get there. Riding Up Front⩘ , a non-profit art blog supporting immigrant rights. Art by: Alexandra Burda⩘ , who is from Romania and currently lives in Helsinki, Finland. I came across another project this morning that impacted me in a similar way. Photographer Alex John Beck, traveling with Oxfam, visited Syrian refugees in Lebanon and Jordan and photographed them along with their most cherished photo on their smartphones. He also captured a brief statement from each about why the photo is valuable to them. The result is a powerful photo essay titled Syrian Refugees in Lebanon & Jordan. Many of the people featured talk about how they yearn to return to Syria and the beautiful life they shared with family, friends, and neighbors before the conflict broke out. One refugee in Beirut, Shatilla, a history and geography teacher from Yarmouk, shared a photograph of his daughter and grandchildren upon their arrival in Denmark. I loved humanity and humans. I promised that, in my life, I'd never cause anyone pain or sadness. And I wish that our suffering could end by returning to a country that respects human values, so I can spend the rest of my life in happiness, cheerfulness, and pleasure. Researchers at University College London took brain scans of study participants who simulated navigating with and without GPS assistance. When they navigated without assistance, the scans revealed spikes in activity in the "hippocampus, a brain region used for memory and navigation, and the prefrontal cortex, a region used for planning and decision-making." And the more navigation options they were presented with—like intersections joining multiple streets—the stronger the spikes in activity were." On the contrary, when they used GPS assistance, those parts of the brain "turned off." This certainly matches my own experience. When I navigate by studying a map ahead of time and perhaps writing down turn-by-turn instructions, I find that I learn the route and surrounding area more quickly. When I use GPS, I can drive the same route multiple times and not learn it. This has caused me to use GPS only selectively, for example, when I need to navigate through intense traffic going somewhere I don't expect to visit again. But for most navigation tasks, I leave the GPS off. Brooks Hays. "GPS navigation turns off part of the brain⩘ ." United Press International, March 21, 2017. French company Brikawood has come up with a very clever approach to wooden house building. All of the pieces are short and slide together in a manner that forms a sort of interlocking series of hollow wooden bricks that can be then filled with a type of coarse sawdust as insulation. It appears relatively easy to assemble, seems to create a quite strong structure, and the end result is certainly attractive. I'm also guessing it can be made from cutoffs, so it might be quite inexpensive as well. There's a video that shows the assembly of a house⩘ . Don't worry if you don't speak French; the imagery is enough to give you a good idea of how everything works. I love innovation like this. Bravo! Love it! Hope it remains permanently. The photo is at the top of an article by Sean Blanda whose title includes, "The Reason You Can't Stand the News Anymore," shows a bunch of people playing in the water of what looks like a pristine ocean. It's actually a good article, despite the eye-bait photo, which I'm guessing … hoping … is used intentionally as an example of the point he's making. Trying to find reasonably good news is a challenging proposition, a walk in search of a decent cup of coffee through a neighborhood full of hucksters, pickpockets, and con artists. Crappy programmatic advertising, devious personal data tracking, sneaky native advertising, and malware make for an increasingly unpleasant and even dangerous experience. And there are serious consequences to our communities, our country, our world. [A]s advertising mixes with propaganda mixes with actual reporting we can't tell the difference anymore. It's a never-ending scorched earth campaign, made possible because harming trust and encouraging tribalism is economically rewarded. In other words, the economic incentives of news directly contribute to the divisiveness of our country. Sean Blanda. "Medium, and The Reason You Can't Stand the News Anymore⩘ ." Medium, Jan 15, 2017. I found the link to Blanda's essay in an article about how to recognize and most effectively fight against the various kinds of propaganda prevalent today by Jonathan Stray, a data scientist and journalist, currently working as a research scholar at Columbia Journalism School. Venting an angry reply, trying to shut somebody up, resorting to violent protests and vandalism … all of these might be exactly what the propagandist is trying to provoke, a sickly clever way of capturing attention. While they may not be as emotionally satisfying in the short term as shouting at someone that they're wrong, and will require more long-term effort, there are effective counter-propaganda methods. … the counter-strategy is not to try to refute the message, but to reach the target audience first with an alternative. Fact checking, which is really after-the-fact-checking, may not be the most effective plan. He suggests instead that we "forewarn audiences of misinformation, or merely reach them first with the truth, rather than retracting or refuting false 'facts.'" Stray also talks about a type of propaganda commonly employed in China, "communicate positive messages to the masses while you quietly disable your detractors." A counter-strategy, if you are facing this type of opponent, is organized, visible resistance. Get into the streets and make it impossible to talk about something else—though note that recent experiments suggest that violent or extreme protest tactics will backfire. He finishes with a look at today's social media-fueled "attention by any means necessary" propaganda. The counter-strategy: do your homework. … you have [to] know what your propagandist adversary is doing, in detail and in real-time. If you don't have that critical function taken care of, you're going to be forever reactive, which means you're probably going to lose. Being a champion for truth and facts is not going to be easy in the face of today's sophisticated propagandists. Understanding what they are up to is the first step. Knowing which countermeasures are effective is the next. Stray's article is an excellent starting point. Jonathan Stray. "Defense Against the Dark Arts: Networked Propaganda and Counter-Propaganda⩘ ." February 24, 2017. Rumble Strip⩘ is my favorite podcast. I appreciate so much the stories Erica Heilman, the host of the podcast, shares with us. Sometimes the stories she shares make me laugh, sometimes they bring me to tears, oftentimes they open my eyes to something I haven't personally experienced, and once in awhile they make me uncomfortable. But I always appreciate the way they help me to better understand the world around me. The episode "Your Neighbor⩘ " tells the story of a young man who is an undocumented American emigrant working with a skill earned through years of incredibly hard labor in order to support his family back home. Sometimes you are happy, but sometimes all sad. What are you doing here? But you think how Mexico is. You just keep working. It's because you need it. You really need work. You are working, but you are not with your family. You are not seeing how they are getting old. You are not going to get back these years. I always have a dream that I can bring my mom and my father just to see how it is right here … not for work … just to see how nice. I don't know, if I had a chance and I can bring them just for, you know, them to see how it is here. I would like them to see all this … how, you know, it is outside right here … how people are. This is a really nice country. None of this changes the fact that there was an illegal border crossing, yet I think it's vitally important to bring more understanding to the debate of how to deal with this issue. Understanding the motivations of someone like this, recognizing his willingness to work incredibly hard and sacrifice years of the prime of his life for his family, affording him the dignity of recognizing him as a fellow human being, all can help bring a more reasoned tone to this debate. This is a complex issue. Finding solutions will be challenging. But I think we can all benefit by bringing a little more understanding and compassion to our attempts to do the right thing. "Your Neighbor⩘ ." From Rumble Strip⩘ , Good Conversation that Takes Its Time. Hosted by Erica Heilman. Ruhmana Ahmed worked in the White House beginning in 2011, when Obama was president. In early 2014, she accepted a position on the National Security Council offered to her by Deputy National Security Advisor Ben Rhodes. Since she was a direct hire of the NSC, she had the option to remain in her position after President Obama left. Given the intolerant message that Trump was expressing, it wasn't an easy decision for her, but in order to serve our country, she decided to stay on, thinking that "Trump's NSC could benefit from a colored, female, hijab-wearing, American Muslim patriot." She lasted eight days. In her essay, she shares her reflections on her experience. I think her story illustrates the grave risk we face: we are in danger of losing the strength that has made this country a beacon. Placing U.S. national security in the hands of people who think America's diversity is a "weakness" is dangerous. It is false. People of every religion, race, ethnicity, sexual orientation, gender, and age pouring into the streets and airports to defend the rights of their fellow Americans over the past few weeks proved the opposite is true—American diversity is a strength, and so is the American commitment to ideals of justice and equality. American history is not without stumbles, which have proven that the nation is only made more prosperous and resilient through struggle, compassion and inclusiveness. It's why my parents came here. It's why I told my former 5th grade students, who wondered if they still belonged here, that this country would not be great without them. Ruhmana Ahmed. "I Was a Muslim in Trump's White House⩘ ." The Atlantic, Feb 23, 2017. A couple years ago, I read Spam Nation⩘ by Brian Krebs. It was interesting to learn a bit more about just what is going on behind the scenes that results in this irritating and often harmful flood of spam we're all inundated with. Since then, I've been following his blog, Krebs on Security⩘ , just to try to keep up a bit with the latest scams. I don't visit every day, but I did try to drop in last September on the day he got hit with one of the more massive DDoS attacks ever seen on the internet. I remember being very surprised that his site was down, and then quickly learning he was under attack. Within a few days, we learned that the company that was trying to provide his site with free protection from attack, Akamai, decided it could no longer afford to offer their service to him. Shortly after that, a Google service called Project Shield⩘ , which is a free service that protects news from digital attacks, helped get him back online. As soon as I heard his site was back up, I visited again, but found that the site was still struggling. I remember thinking, Wow, if the attack is even causing some trouble to Project Shield, that's really major. Dan Goodin is one of my favorite security bloggers and Ars Technica is my favorite tech news site, so this article by Dan on Ars Technica immediately caught my attention. It's really interesting to read about what went on behind the scenes, the risk that the Project Shield team took in deciding to protect Krebs on Security, and the battles they fought in the first days and are still fighting today in order to keep the site up. It was also interesting to learn that protecting a small site like Krebs on Security is, in some ways, more challenging than protecting large sites like Google's own properties. There's a full-scale war going on out there. Crazy. Dan Goodin. "How Google fought back against a crippling IoT-powered botnet and won⩘ ." Ars Technica, Feb 2, 2017.